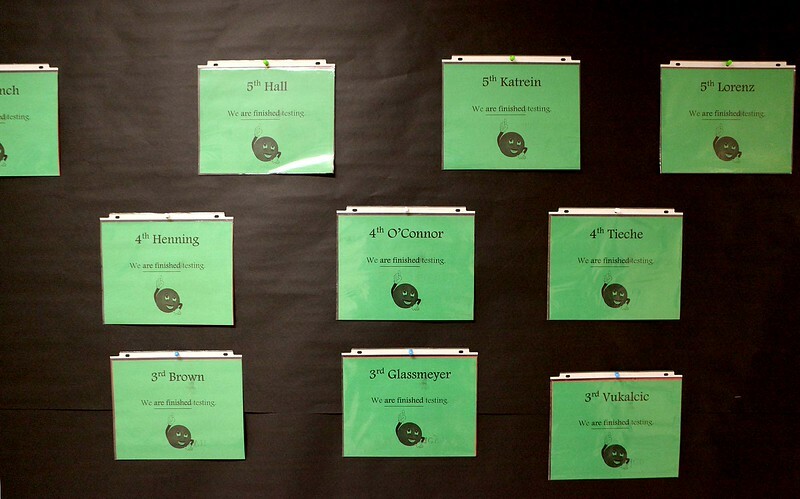 A bulletin board in the hallway of Munhall Elementary School in St. Charles shows teachers and students who have completed testing for the day. Third-, fourth- and fifth-graders at the school are among students statewide participating in PARCC testing this month. This is the first year PARCC – Partnership for Assessment of Readiness for College and Careers – has been administered.